One of the major concerns of utility companies to actively proceed to the adoption of innovative and state of the art solutions, is the interoperability with old-fashioned/traditional equipment, as well as the high integration costs. Conversely, SealedGRID builds on a realistic architectural image of industrial installations comprising legacy (like SCADA) and emerging (e.g., automated and interconnected) types of energy infrastructures. 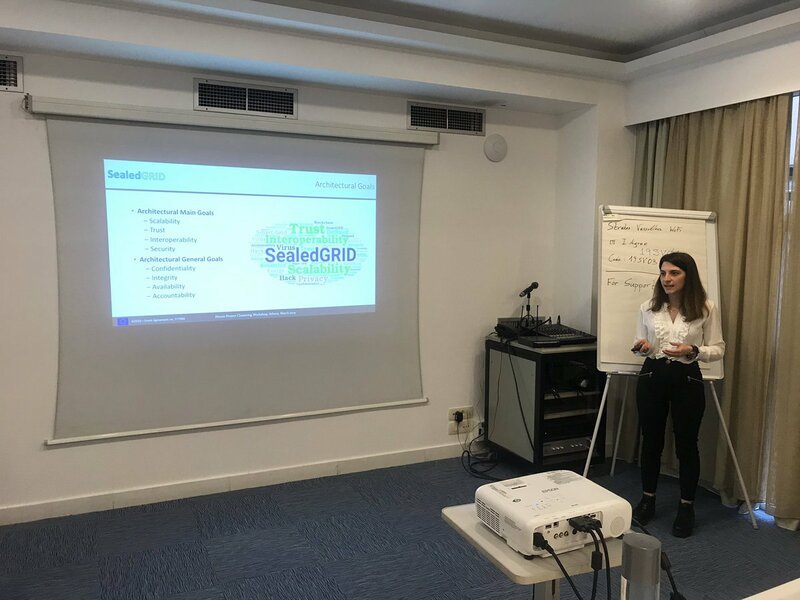 Subsequently, SealedGRID takes into account the special characteristics of energy infrastructures, their cyber and physical requirements, and proposes solutions that promote systemic prevention with the minimum possible additional cost. Special consideration will be given to the fact that this additional cost should be much less than the benefit gained by the adoption of SealedGRID’ solutions. Moreover, SealedGRID will endorse interoperability to allow companies to promote better offers and to create a competitive energy infrastructure market. Consequently, SealedGRID is expected to contribute to the fulfilment of the objective of efficient operation of critical infrastructure, while preserving quality of service, for the ultimate benefit of customers. The establishment of high information security models is in the top of energy distribution operators business priorities. The SealedGRID platform along with its security methodology and mitigation techniques for cyber, physical and potential cyber-physical threats will provide an integrated solution that will be applicable to existing systems as well (like SCADA and telemetering systems). It will also provide advanced security features in legacy equipment upgrading their capabilities for operation in modern computing environment. 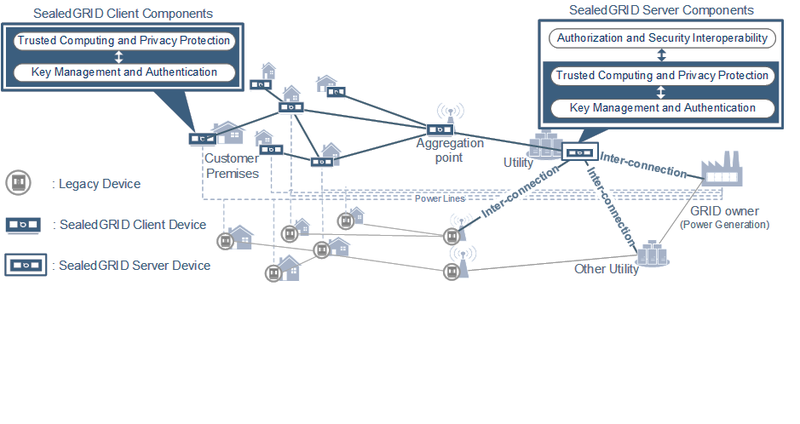 The SealedGRID concept is expected to limit the security risks for the expansion of remote energy distribution network management, towards the evolution of SGs. This will offer more trouble free management to energy distribution operators and contribute towards an extensive deployment of SGs. Furthermore, the adoption of SealedGRID will provide an efficient mechanism for the mitigation of security risks related to the infusion of ICT technologies in the energy distribution operators. Currently, much effort is being made at European and global level, to push towards realising a sustainable development of the SG, with the minimum vulnerability to external attacks or to malicious SG nodes. Utility companies globally invest on an efficient, controlled and flexible distribution of the energy to optimize the services that they provide to the end customers. On the other hand, individual clients call for more efficient SG solutions with guaranteed highly secure DR (Demand Response) services that could reduce their electricity bill without sacrificing their privacy or their energy-consuming habits. To this end, SealedGRID will provide an innovative platform that will abide by the existing standardisation work and will be directly utilised by the shareholders to provide new tools towards a scalable, highly trusted, and interoperable SG security platform. The proposed platform will contribute to the ambitious goal posed by European regulations that requires member nations to ensure that 80% of residential households are fitted with a smart meter by 2020. Seconded researchers will create a highly experienced group in this field, to continue working in this highly important research area. In this concept, vital contribution will be provided by the SealedGRID in the current efforts for crewing a European research and development community with expertise in the security systems for the SG that may combine cross-sectorial (industry and academia) backgrounds.